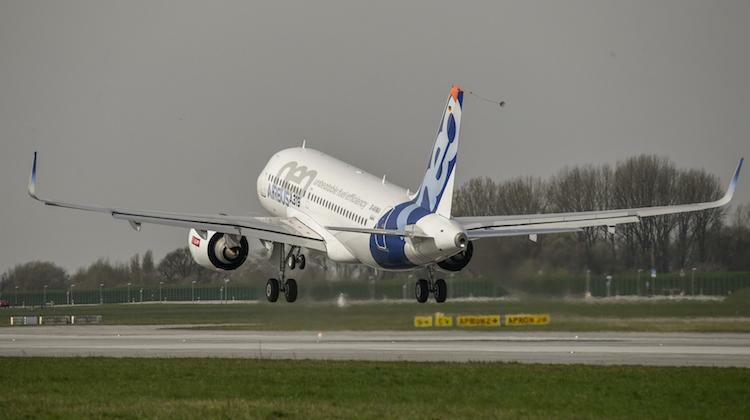 Airbus has completed the maiden flight of its A319neo, the smallest member of the A320 family of aircraft. The aircraft, D-AVWA, took off from Hamburg-Finkenwerder Airport in Germany on March 31 and landed at Airbus headquarters at Toulouse Airport in France some five hours later, Airbus said in a statement. 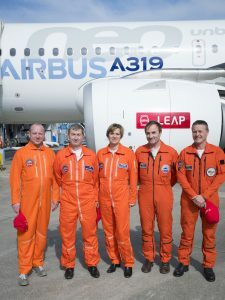 Airbus experimental test pilots Michel Gagneux and Eckard Hausser, along with test-flight engineer Jean Michel Pin and flight test engineers Sylvie Loisel-Labaste and David O’nions were on board the inaugural flight, which tested the general handling of the airframe and checked the main systems. 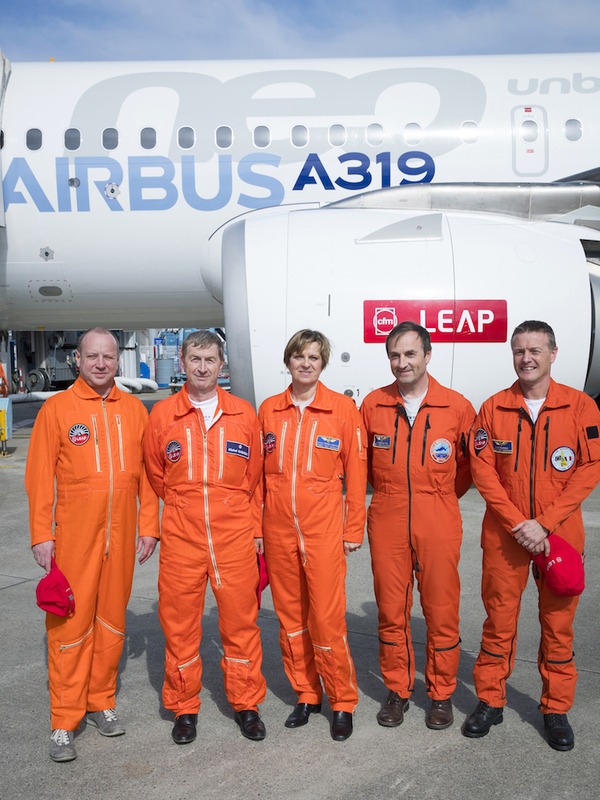 The first A319neo flight was powered by two CFM International LEAP-1A engines. The aircraft is also available with Pratt and Whitney’s geared turbofan powerplants. 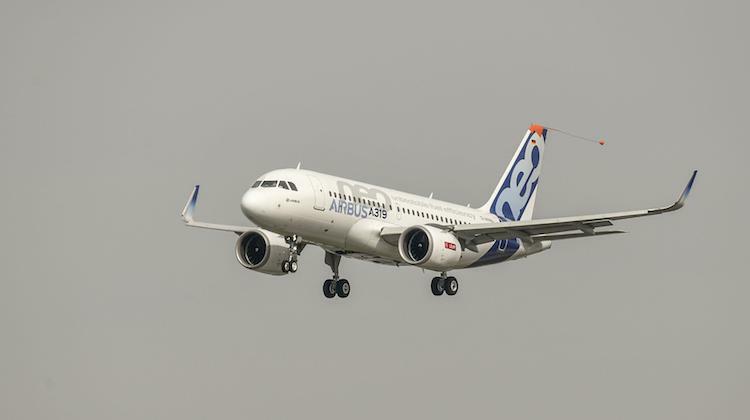 Airbus said in a statement the A319neo would be based in Toulouse for its flight test program, which would focus on aircraft handling qualities, autopilot, performance and systems – building on the required engine tests that already have been performed with the A320neo and A321neo versions. The aircraft is capable of flying 3,750nm when configured with 124 passengers in a two-class cabin, according to Airbus figures. As of February 28, Airbus has secured 55 orders for the A319neo, a fraction of the 4,063 total orders for the A320neo program. In this part of the world, Qantas recently pushed back its order for 54 A320neo and 45 of the larger A321neo for about nine months, with deliveries now expected to commence in 2018/19. The aircraft are ostensibly destined for Jetstar as older A320s are paid off and to cover growth. Air New Zealand has guided the market to its first A320neo/A321neo arriving in 2018. The airline has ordered 13 of the next generation narrowbody. Great to see this. This will open many opportunities for smaller regional airlines seeking less than 2 hour routes at a fuel efficient cost.